One night a foreign business analyst in Tokyo sits down in his spacious high rise apartment and begins typing something. The words pour out and exhaust him. He soon realizes that the words appearing on his laptop are memories of his first days in Nagasaki four years ago. Nagasaki was a place full of spirits, a garrulous Welsh roommate, and a lingering mystery. Somehow he must finish the story of four years ago--a story that involves a young Japanese girl, the ghost of a dead Japanese writer, and a mysterious island. He must solve this mystery while maneuvering the hazards of middle management, a cruel Japanese samurai, and his own knowledge that if he doesn't solve this mystery soon his heart will transform into a ball of steel, crushing his soul forever. Though he wants to give up his writing, though he wants to let the past rest, within his compulsive writing lies the key to his salvation. 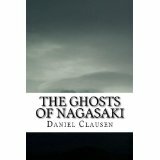 Daniel Clausen's sample of his book, The Ghosts of Nagasaki, has my interest piqued. The creativity that accompanies this book is astounding and I have no doubt that the full novel will hold readers hostage until the final period. The sample, Silence, seems to take place in the early-middle of the novel. The main character has already met the ghosts and the people in his life are becoming them (or perhaps, vice versa). He's a very open character who is aligned with the apostatized (someone who renounces their beliefs). The ghosts that surround him are a part of some mystery that he needs to solve. I think readers of the full novel will connect with him based on his openness and honesty, as those are the two biggest traits displayed in the excerpt. Though I firmly think that the mysterious and paranormal aspects of the plot will keep the readers reading. For readers that love historical fiction, fantasy, and paranormal genres, this book is highly recommended. Sounds like it's a read-worthy horror story.